No business is too small or too big for us to handle. Rest assured we will do everything possible to protect your family, home, and business. We take pride in serving our local community. It's where we work, live, and raise our families. Help is just a call or click away! We guarantee to solve the pest problem in your home or business within 24 hours. Education is our greatest tool. We are always expanding, evolving, and ready to share all we know about pest control and prevention. Your home may be your biggest and most important investment. Don’t leave it unprotected from property-damaging insects and rodents. You have a business to run and a lot on your mind. Let us handle your commercial pest control needs so you can get back to doing what you do best. 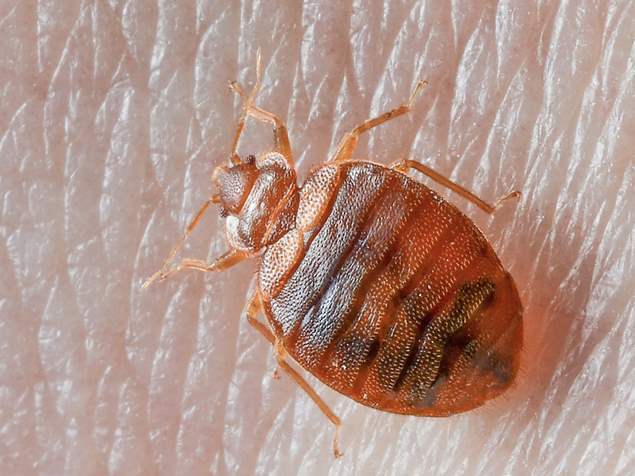 Bedbugs can be a real-life nightmare. Our bedbug treatment and 90-Day-Guarantee will be your dream come true. Termites cause over $5 billion in damage every year. We will make sure your house remains a home and not a casualty. "As a 14 unit homeowners' association we have a lot of demands, but NuBorn responds quickly and kindly. They make us feel like we're the only client around and that our matters are important. Their work seems to have kept the pests at bay. Just what you want from your pest control." "I had a carpenter ant problem and the owner came the same or next day. He was very thorough inside and out of the house, also checked for termites and gave good advice. He was sensitive to my having cats in deciding how to treat inside the house. The ants disappeared as a result of their efforts." Copyright © 2019 NuBorn Pest Control. All Rights Reserved.